But it is not just me, look at the line up, truly a dream team on the airwaves if ever I saw one, so don’t miss it! So we have made it to show number 3! Another great line up on the interview front some more crazy music selections and a bit more news on the release of BetTrader Evolution. Join us at our usual time of 12:00 (U.K Time) This Saturday, 22nd August 2009. The Live player will be in the side bar just before the show starts and will be in our Radio Archives Saturday evening. Darren, in his third year of running his risk free betting site bet72 has just launched his membership site BetSeventyTwo, we speak to the man behind the site, and see how Darren does month-to-month with Risk-Free-Betting. The Badger returns with a bit of trading chit chat and a trading selection for this weekends markets. Kiss of death? Find out live! How Big is Your Betfair Wad? Amaze your friends and show them you are a Betfair betting or trading god, hey you might even make it into the News of the World. The guys over at Juicestorm have produced an excellent “make your own profits up” application. Born from all those systems that promise millions of easy £’s to your Betfair account every day of the week with their Photoshop P&L screens. Always seem to be priced at £37, £77 or £97 too! Well now you can have your own P&L to boast about and all at the click of a mouse, love it! Right I am off to eBay to flog a few life changing horse racing lay systems! This is one Lee at Juicestorm made earlier….wow nice trading! Update: – Show Now Available in the juicestorm.com archives. But it is not just me, look at the line up for today, truly a dream team on the airwaves, so don’t miss it! Dave Pelie, Adam Todd, Mark Baker and Darre Hall are all guests live tomorrow for an extended WUBT Betting Radio show featuring the new BetBotPro. We kick off at the usual 1.00pm UK time with our regular Betting Blogosphere Round Up with all the best from the great betting blogs. During the show we will be giving out the prizes from the Juciestorm Competition, those who win and are listening will get first pick of the prizes. We will of course publish winners for those who miss the show live. Our first guest is at 1.15pm when WUBT will be joining our regular tipster, Dave Peile, in the front row event box at Cheltenham. We’ll be getting the low down on his views for the best selections of the day to continue his profitable winning run. Then we’ll join Mark of BetBotPro around 1.30pm. Throughout the day we’ll be running BetBotPro on Betfair following my usual strategy. We’ll be talking about the latest beta release for Betfair which is available to members right now, and the soon-to-be-released BetBot for Betdaq. 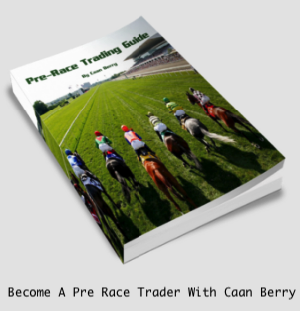 After Mark we’ll whiz right over to Adam for a chat and see how the Geek’s getting on with the launch of the new Racing Traders application. And perhaps even a sneak preview of some of the great new features? Join us live and find out tomorrow. Finally, Darren Hall of Bet72.com will hopefully point us in the right direction for more free money and all the latest offers from bookmakers and the specials available for Cheltenham. Will the Juice Team get it all together? Or will the gremlins screw us? Be the first to find out live, 1.00pm, tomorrow. The player will be live in the sidebar 30 mins before the show and availabe in the Betting Radio archives soon after.